Remember the old days when records almost always came on black vinyl? 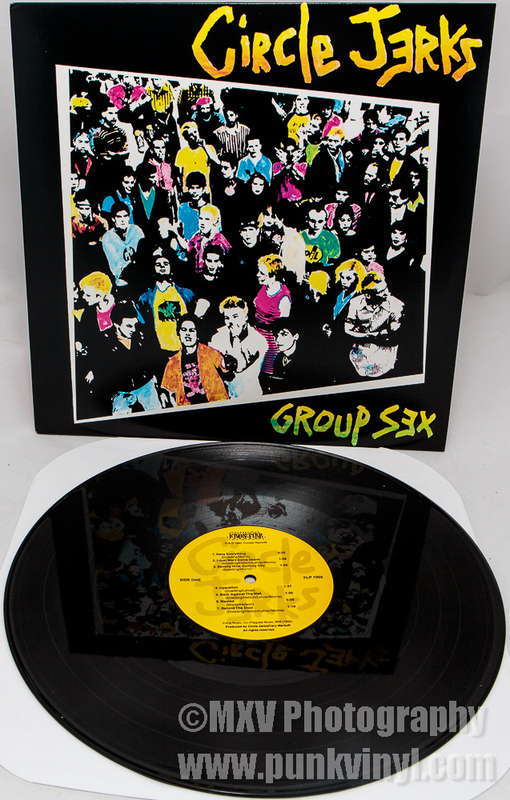 Remember when a new LP only cost seven dollars? While the days of seven dollar albums are gone forever, black vinyl hasn’t gone anywhere. It is timeless (though I do actually prefer the various colors, I also enjoy the standard black vinyl LP as well as I have always been fond of tradition). After more than ten years of coming on nearly every color under the rainbow, three of the all-time best punk rock albums of all time have returned to their roots. 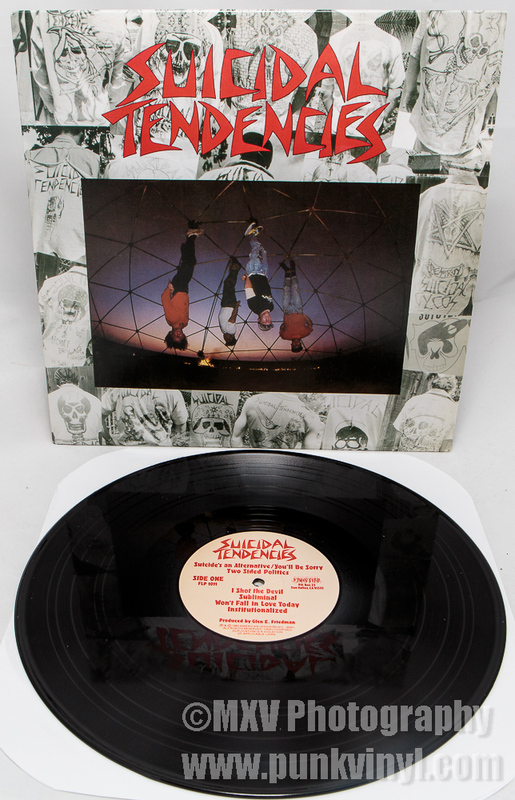 Just like black vinyl is timeless, so are the début albums from Suicidal Tendencies, Circle Jerks, and Christian Death. All three of these albums were released in the early 1980’s on Frontier Records, a label with impeccable taste and an amazing track record of excellent releases. Back when the label started they were on fire, releasing one great album after another. 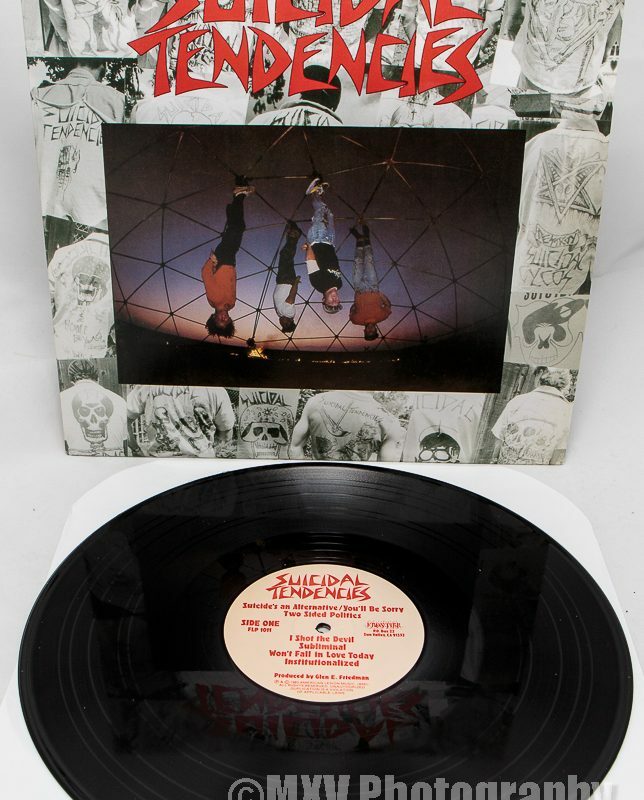 They were one of those labels that you knew if they put out the record that chances were high that you would like it even if you never heard of the band before. 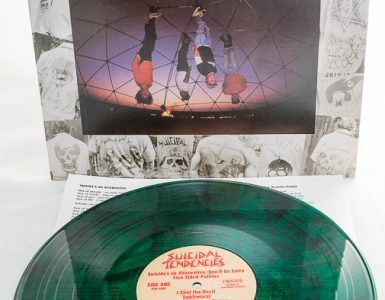 In the case of Suicidal Tendencies and Circle Jerks, when these albums were first released they were on black vinyl and continued to be until the early 2000’s when Frontier started pressing their classic back catalog on colored vinyl. 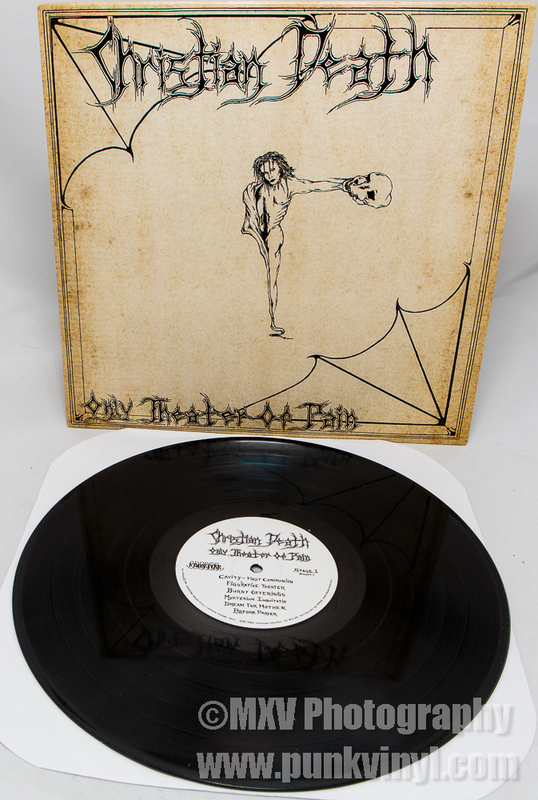 In the case of the Christian Death LP, this is the remastered version with different cover art and this is the first time it is available on black vinyl which seems like an appropriate color given the whole death rock/goth thing they had going. 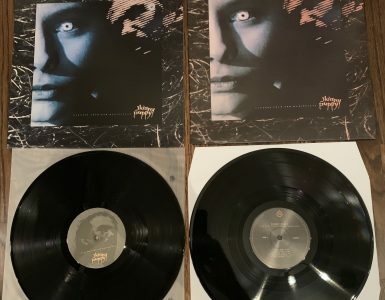 All of these albums come with inserts which aside from the very first pressings of them on black vinyl, were not included for years until the colored vinyl versions started. All three of these should be at your better record stores and can be easily identified by the lack of “special colored vinyl” sticker on the shrink-wrap. 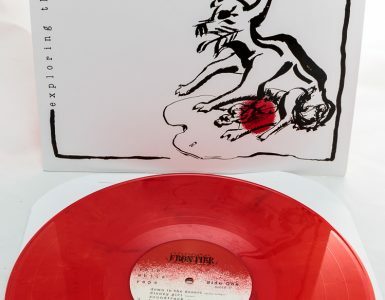 If you can’t find one though you can easily have one sent right to your front door by ordering from the Frontier Records website.